Showcase your Chicago Blackhawks pride at the office or on the golf course in this '47 Red Forward Gravity Short Sleeve Polo! 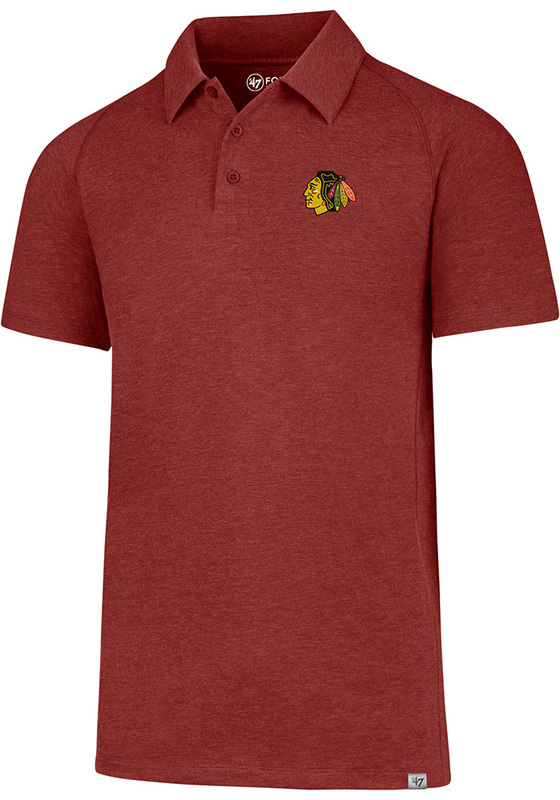 You'll look sharp in this Blackhawks Polo, which features a team issued logo screen printed on left chest. This Chicago Blackhawks Red Forward Gravity Short Sleeve Polo Shirt is the perfect update to your professional wardrobe. The best fabric in collegiate wear! I love '47 brand products. They have the most innovative fabrications, and Rally House has the best pricing and selection, making for a great combination! I bought this polo at the Oak Park store. Really different than a traditional performance polo. The fabric is soft and looks nicer than most basic polos. Fit is good as well, not too boxy or too fitted. Cotton blend material is great because it does not shrink and is soft from the first wear. Love the color too, kind of understated, great for wearing to work.